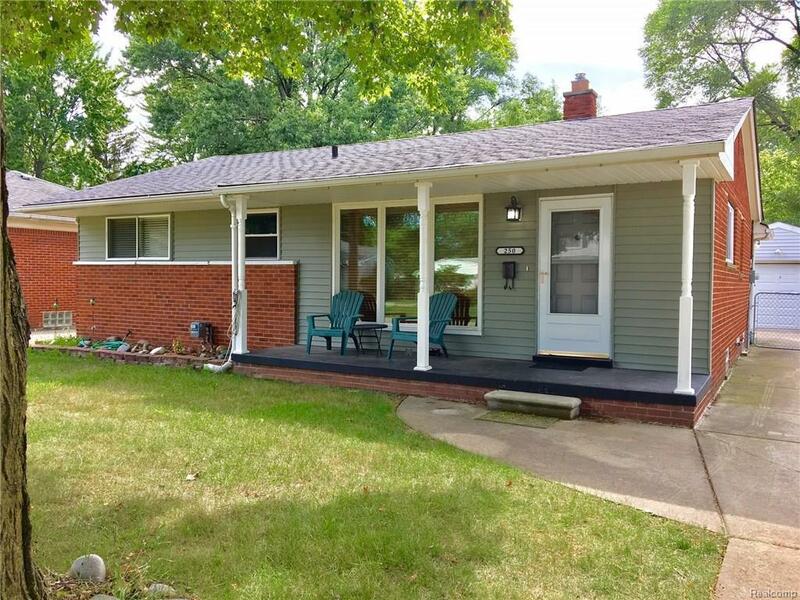 Owner says "sell", willing to part with this beautifully updated brick ranch in Clawson. Freshly painted exterior, front sitting porch, open LR & dining "L" w/ orig oak hardwood floors, kitchen updated w/ cherry cabinets, stainless steel appliances & granite tile counters. Bright BF room has door wall to patio, 3 bedrooms & updated full bath on main level. The basement is like another house in itself. Lg Rec Room, workout room, study-craft room & 2nd full bath. Newer roof, plumbing, furnace & A/C. Great 2 car garage, perennials out front & open green space in rear. Enjoy downtown Clawson & all the attractions. Make Home Here.